A two-story office building and warehouse establishes a dignified presence along historical Washington Avenue. Located on a corner lot, the building's canopies address the street while providing shade to the offices. A loading dock to the warehouse separates the building from the parking lot. 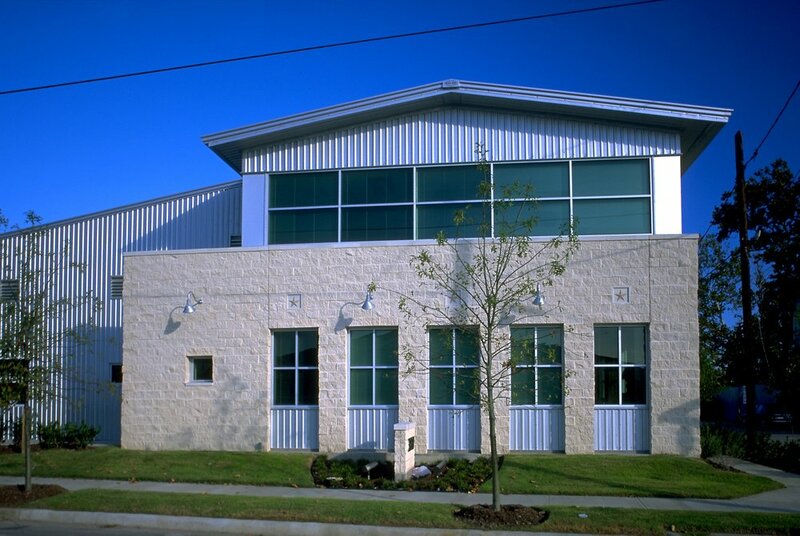 Conventional materials and systems - a pre-fabricated metal building with concrete masonry units, metal siding, and storefront windows - were used for properties of environmental and economic sustainability.